Lensvelt products often have a twist. This counts also for the AVL Office Chair from Atelier van Lieshout. 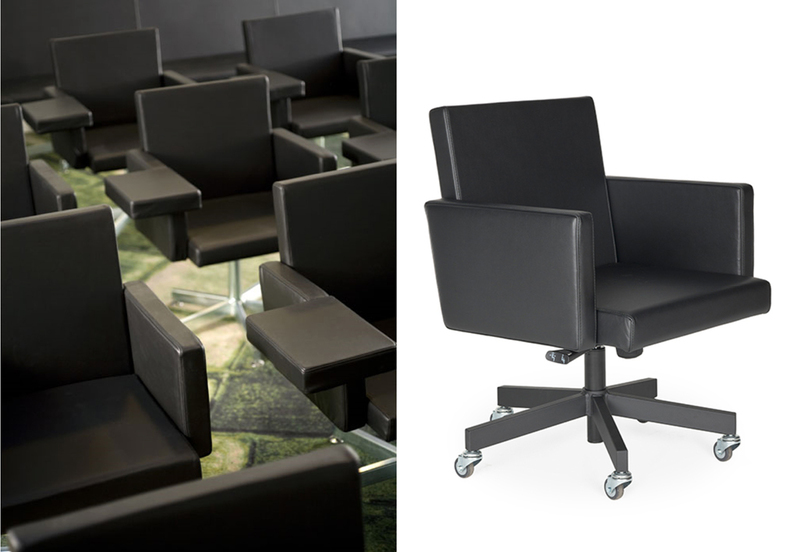 A high-quality, comfortable, original and sturdy office chair. 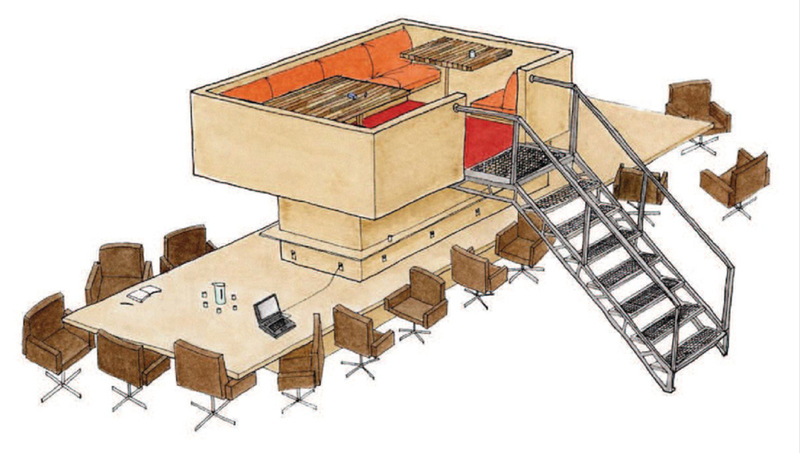 In 2002 Joep van Lieshout was asked to make a design for one of the pavilions in the new head office of insurance company Interpolis in Tilburg. He got the assignment and searched for the office chair outlined by himself. Surprisingly, it did not exist. The standard available office chairs were overdesigned; they looked like hairdryers and vacuum cleaners, according to Van Lieshout. Van Lieshout asked Hans Lensvelt, with whom he had been working together for years, whether he could make this chair. The AVL Office Chair was the result. 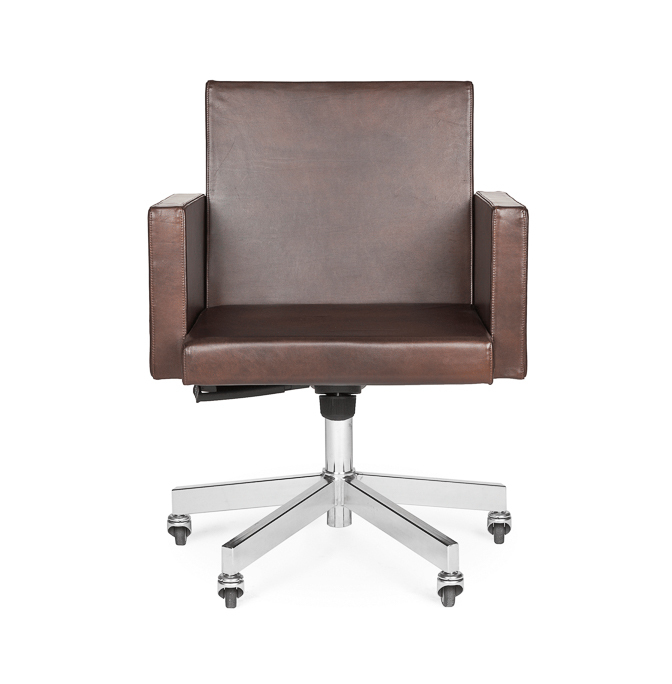 The office chair was upholstered in stylish Old Saddle leather and was given a robust galvanized steel base whose welds are consciously visible and not finished. 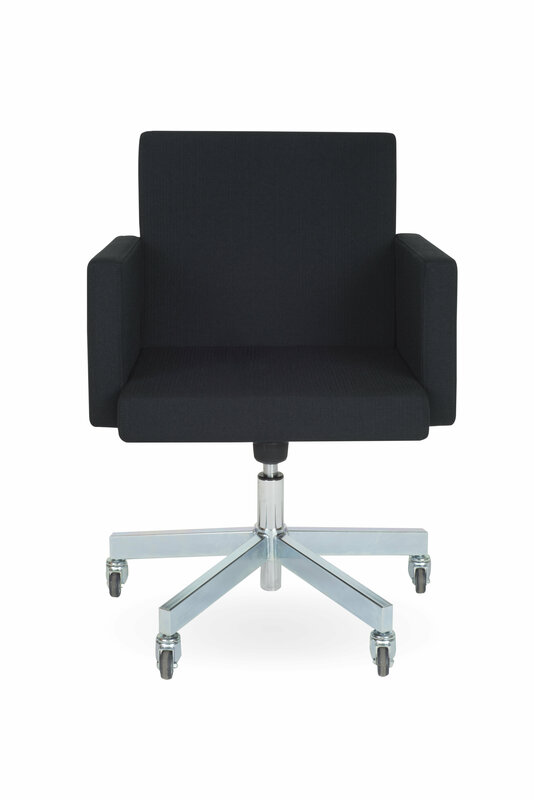 The AVL Office Chair is also height-adjustable by means of a gas lift and equipped with a well-thought-through tilting mechanism that allows you to sit very comfortably. 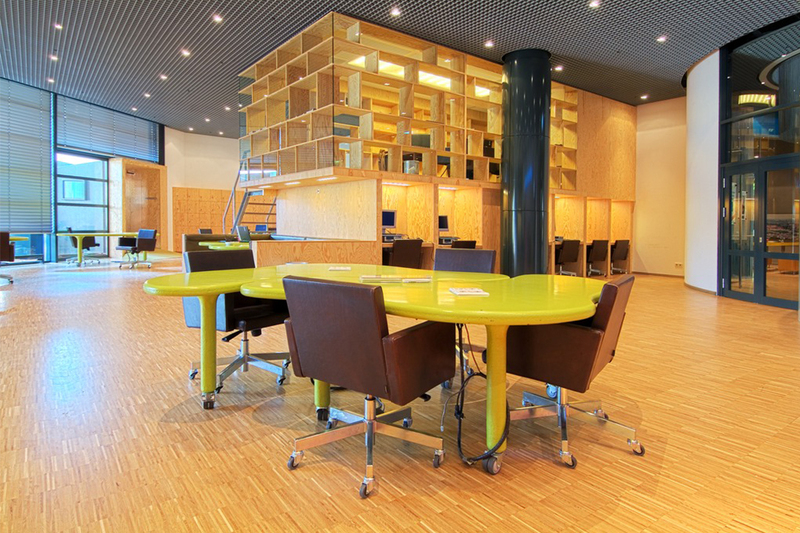 One of the first architectural firms to apply the AVL Office Chair was Concrete Architects in Amsterdam. 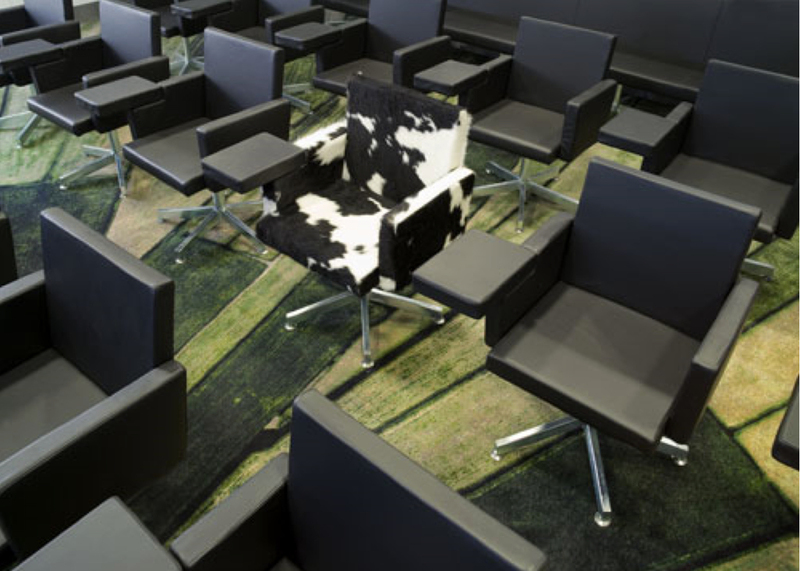 In 2007 they opted for the AVL Office Chair for the VIP Lounge at Schiphol Airport. The lounge from where the Dutch ministers, military officers and the royal family leave. 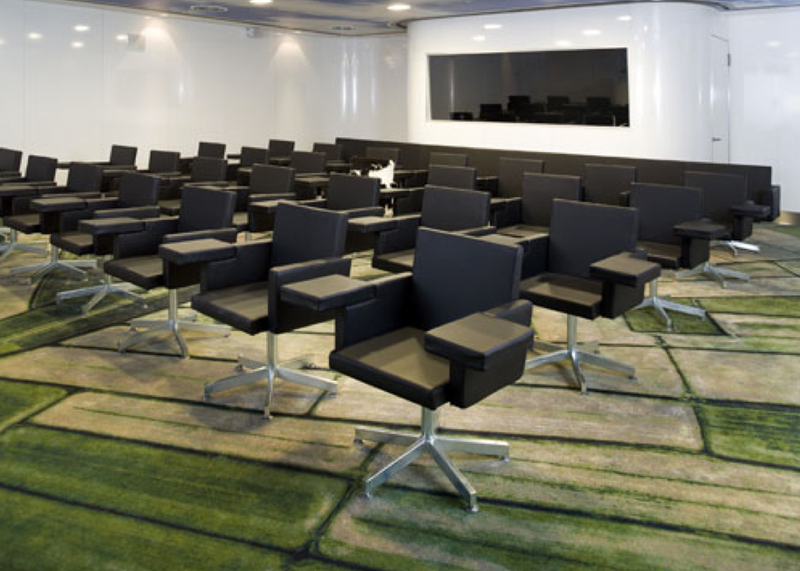 Especially for this project, AVL Office Chairs were used in the press room with a writing board on the armrest. Also the chair was given a surprising upholstry: Pony Skin. The room for the Dutch royal family was then adapted to the wishes of Queen Beatrix. In addition to its own products, Lensvelt also supplied designs for Vitra and MOOOI, such as lamps from Studio Job and the Vitra Polder Sofa by Hella Jongerius, which was upholstered in blue at the request of the Queen. The assignment to Concrete Architects was special. Schiphol wanted Dutch Design to be used as much as possible. With this, Schiphol made a serious contribution to the creative design world of the Netherlands. Sculptor, artist, designer, visionary and enfant terribleJoep van Lieshout (1963), lives and works in Rotterdam. He is one of the most successful and best-selling artists in the Netherlands, who has also built up a strong international reputation. His Atelier van Lieshout (AVL) has designed a large number of special furniture for Lensvelt, which have become modern classics in the interior world, including the AVL Office Chair. Lensvelt is an engaged non-design furniture label and project contractor based at the Herengracht in Amsterdam. Since its founding in 1962, Lensvelt has been offering architects and interior architects the means to make ever better interiors. Lensvelt collaborates with over 150 high-quality designers, architects, artists and labels.